Join us for the de-initiation of the 11 Artist-Zealots that have been part of the project Tot-Tot-Totalalazola! These artists have been brought together and taken on a journey through the mythos of Newcastle/Sheffield based collective TOTALLER. Their initiation into the group has taken place over several months and has included a field-trip, experimental guided meditations and the injunction to produce artworks/weapons that have been absorbed into a sculptural arsenal. 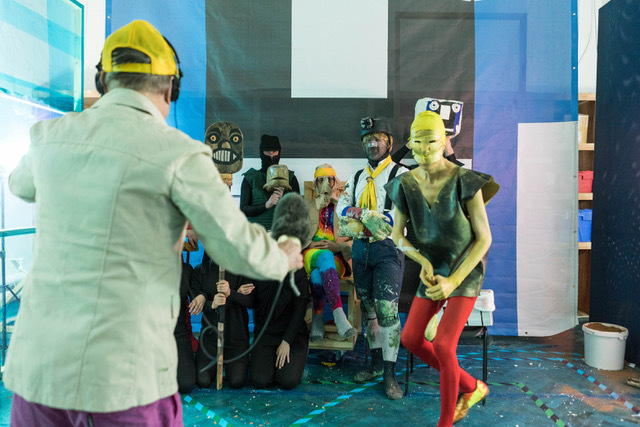 On Friday 22nd February they will be set free from their bonds of initiation with a public ritual that will include a presentation given by Susie Henderson and Niki Russell from the art collective, Reactor. Reactor is an art collective, comprising Susie Henderson, Niki Russell, and a fluctuating group of guest members. Historically the group has generated shared realities where audiences and those involved with the group co-participate in the production of the work. Through research into belief systems and their place in collective action, they explore the way culture holds together specific social groups. Accessibility: NewBridge Gateshead has full accessibility, this exhibition will take place in the ground floor Gallery Space of The NewBridge : Gateshead.